Our Case Studies Are you paying more than you should on SVR? Are you paying more than you should on SVR? Are you on your current lender’s standard variable rate? If so, you could be paying more than you should. We are experts at arranging low rate large mortgage loans for clients who earn their income from a variety of sources. We have the private banking contacts to provide a tailored solution for you. Our clients were a professional couple in their thirties, with a mortgage of £1.4 million and combined income of over £500,000 per annum. They had significant offshore assets, as well as a large share portfolio in the UK. However, they were paying their lender’s standard variable mortgage rate (SVR) of 3.25% and wanted to remortgage onto a lower rate with no early repayment charges. The clients’ London property was worth £4.5 million, so the mortgage needed was at a low loan to value (LTV) ratio of 31%, but the main earner had only been in his current role a year and received most of his income in the form of bonuses from a Russian bank. Traditional high street lenders did not like the fact that most of the income was in bonus form, and would not consider enough of the regular income to offer the mortgage required.  The client contacted largemortgageloans.com after a recommendation. We met with him immediately and arranged a meeting with a private bank, who were comfortable with the client’s bonus structure, coupled with his senior position and track record in a previous similar role. £1.4 million was made available at a rate of 1.69% over the Bank of England Bank Rate (0.5%), giving a pay rate of 2.19%, with no early repayment charges to give complete flexibility. 2 APR (the overall cost for comparison) calculation based on arrangement fees of 0.5% x £1.4 million (£7,000) and legal and valuation fees of £5,000. The actual rate available will depend on your circumstances. Ask for a personalised illustration.